You are here: Home / LifeTopix / Common Questions / Q. How do I setup the Social Integrations: Twitter, Facebook? 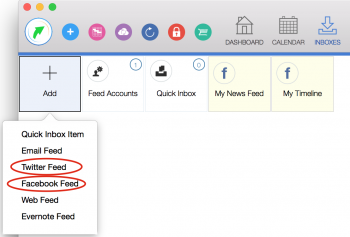 To be able to add Facebook and Twitter feeds in the Inbox view you’ll need to first add the account to your device. 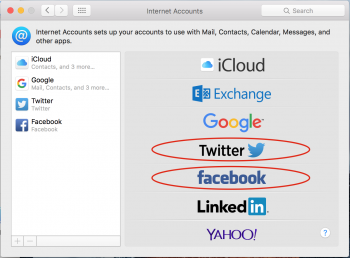 This help page shows how to add the Twitter and Facebook accounts for Mac and iOS. 1. 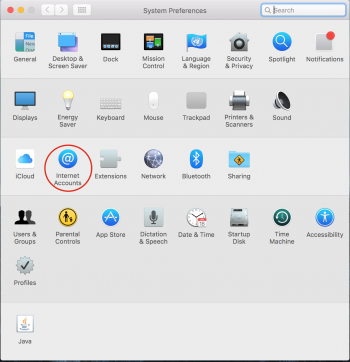 On Mac to add your Twitter account and Facebook account please open System Preferences. Then click Internet Accounts. 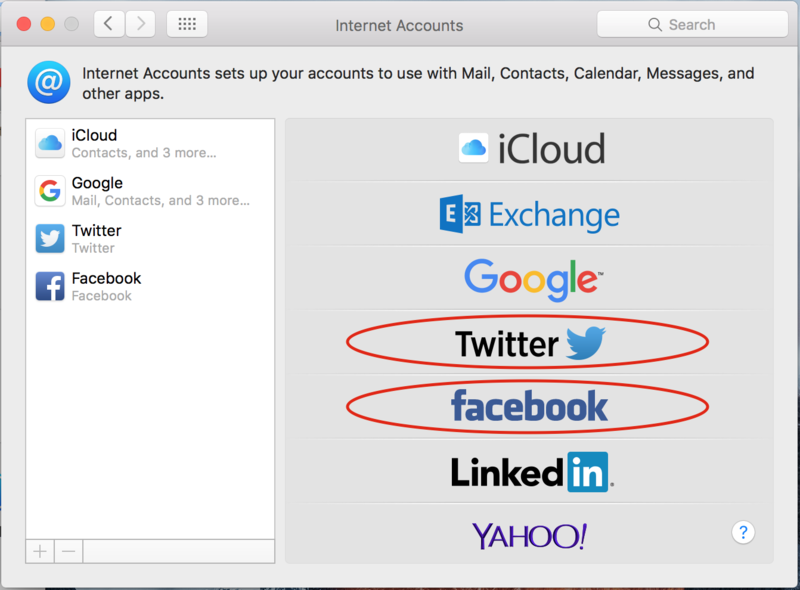 From Internet Accounts you can add your Twitter account and Facebook account. 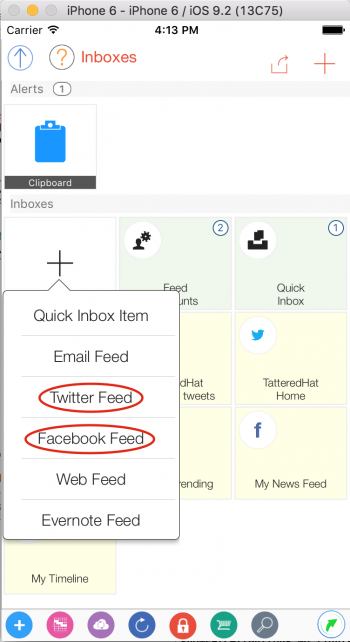 After adding a Twitter account and Facebook account you can add Twitter feeds and Facebook feeds in the Inboxes view of our app. 2. 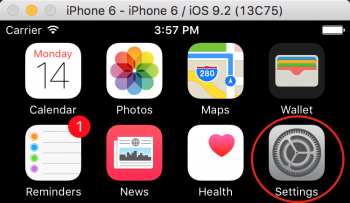 On your iOS device open the iOS Settings app. 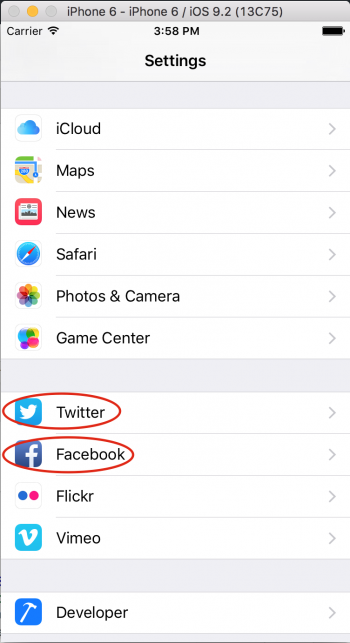 Next, from the iOS Settings app you can add your Twitter account and Facebook account.